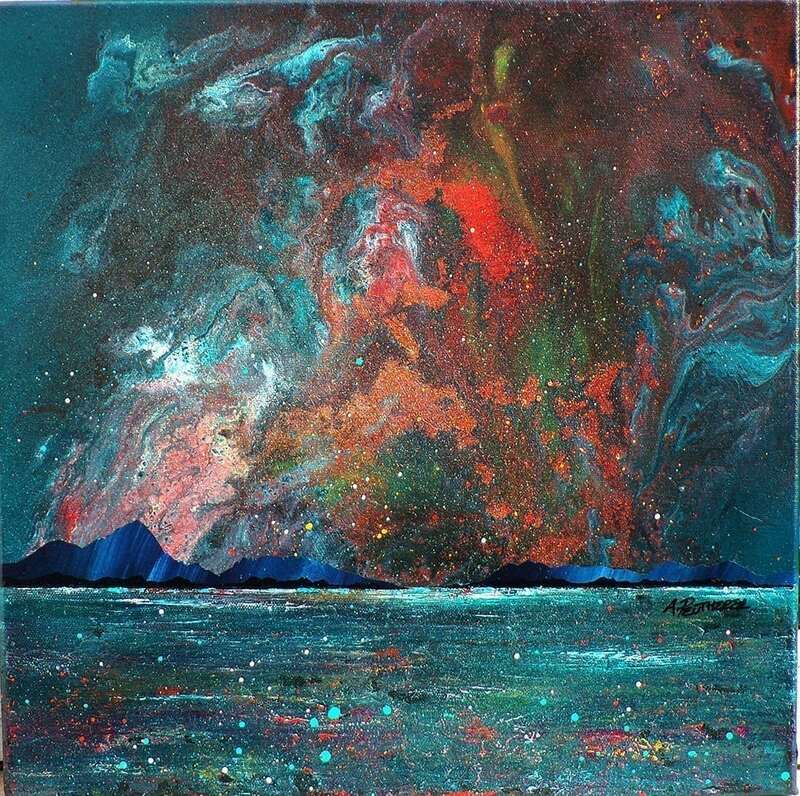 Gairloch Northern Lights, Wester Ross, Scottish Highlands – Example of the original Painting on canvas. Shown in a floating style black frame. An original abstract, atmospheric seascape painting of Gairloch Bay at night during a display of The Northern Lights. The painting continues around the edges of the canvas giving a very contemporary style although it can be framed if you wish. More about the Gairloch area here. Original mixed media painting in acrylic paint, spray paint, oil paint and acrylic ink on canvas. Ready to hang – Unframed (framing can be arranged). 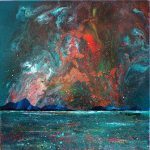 An original painting of Gairloch Northern Lights, Wester Ross, Scottish Highlands.